I have a hunch though that for most of us things are a little bit completely different. If in college I had no problem getting 10-12 hours of sleep, and afterward, at my first job at least 8 hours, nowadays I’m happy if I can get at least 4-5 hours of sleep a night (and don’t get me wrong, it’s good I’m busy). Just last week, before leaving for Electric Castle, the day started with only one hour of sleep. I had spent the night editing videos for YouTube, and my daytime activity involved a full workday at the office. Five in the morning, pack on fast forwards. 6 am, you’re on the road. Seven hours Bucharest – Cluj, boom! Parenthesis: remember what happened when I tested 68 matte lipsticks in a day? Well, something like that. Just that it doesn’t limit to the lip area, similar things have happened to my face as well. I have an oily T-zone, the rest of the face is normal or dry (during the winter). I struggle with enlarged pores and an occasional breakout here and there. My face dries and peels during long flights and in extremely cold temperatures, I get red. Excessive hydration is not an option and those of you who follow me know how much I try to stay away from shiny skin. And speaking of the constant testing I mentioned above, it’s implied that a stable skin care routine is out of the question for me. However, there are a few staples in my routine that I’ve talked about in favorites videos on YouTube. 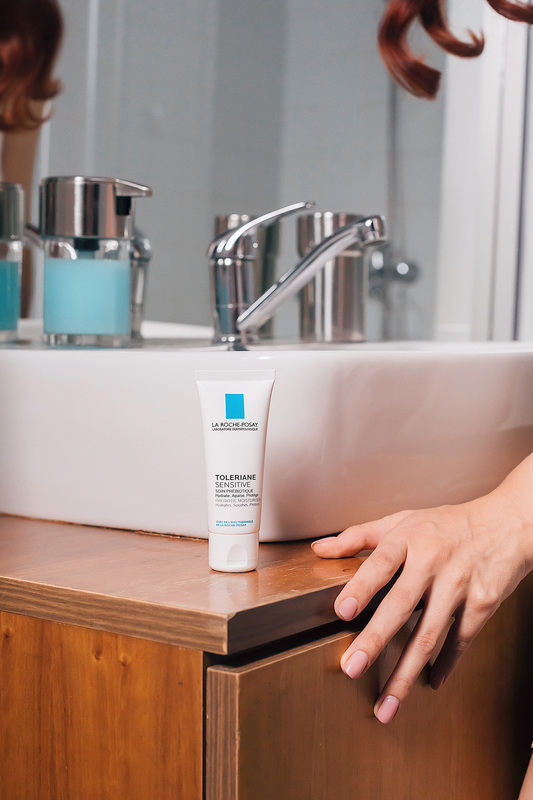 Not once have I mentioned the La Roche-Posay cleansing gel as being my favorite (I’m at my fourth bottle) or the SPF lotions, the thermal water or the unifying cream. All of them are excellent and I recommend wholeheartedly to anyone battling with oily skin issues (and not only). 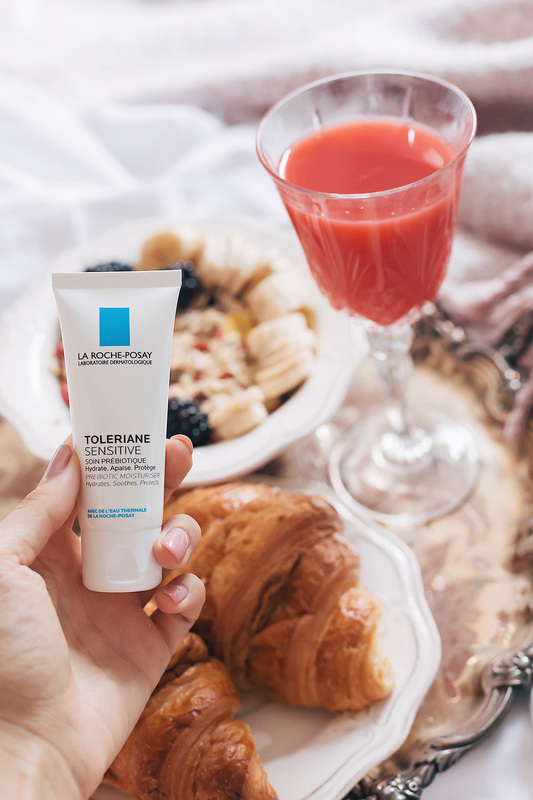 I’ve recently included in my skincare “kit” another product from this range, this time catering to sensitive skin: La Roche-Posay Toleriane Sensitive. I usually use it in the morning, right after breakfast and cleansing. The foundation sits normally on the skin (I haven’t come across any issues), it works very well as a makeup base from my experience. Nu le-oi avea eu cu skin care-ul atât de mult, dar m-ai cucerit, ca de obicei! P.S. Ce poate fi mai plăcut decât s-o citești pe Balaban și să îți îmbunătățești si engleza cu ocazia asta?